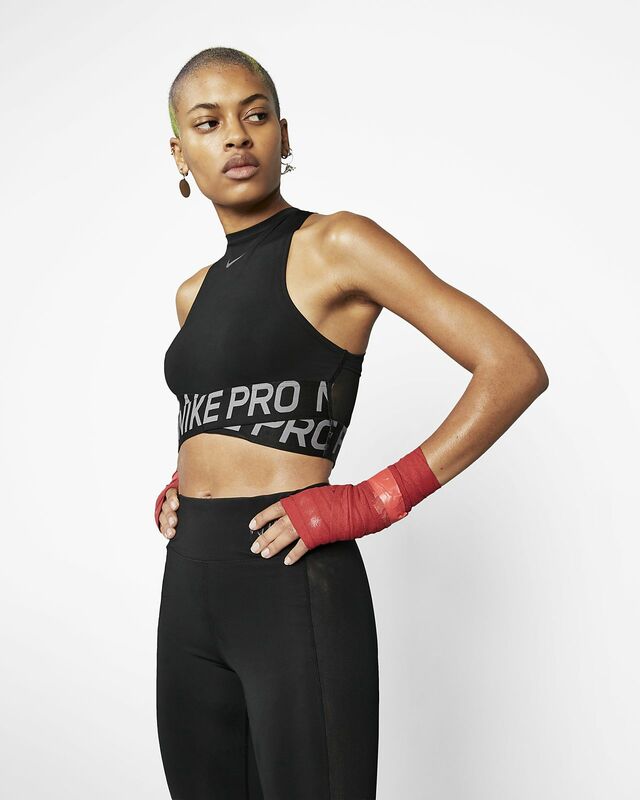 The Nike Pro Intertwist Tank features a cropped cut that's great for layering or wearing solo. Its mesh back panel helps keep you cool, while its chest band features a stylish cross-over design for a secure, comfortable fit. The Nike Pro Intertwist Tank features a cropped cut that&apos;s great for layering or wearing solo. Its mesh back panel helps keep you cool, while its chest band features a stylish cross-over design for a secure, comfortable fit. Elastic chest band delivers a secure, comfortable fit. Mesh back panel enhances breathability. Cropped silhouette is ideal for layering or wearing on its own. Fabric: Body: 83% polyester/17% spandex. Mesh: 81% polyester/19% spandex. Elastic: 70% nylon/22% recycled polyester/8% spandex. super nice! Good fabric and fit and the cut is flattering. Light padding. So cute and fits great!